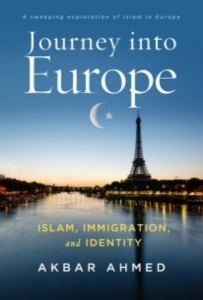 In Journey into Europe: Islam, Immigration and Identity, Akbar Ahmed scrutinises the experiences of Muslims living in European nations that are facing challenge to their hegemonic position in a global age. This is no ordinary book project, writes Tahir Abbas, praising the unprecedented wealth of information contained in this gripping, engaging and immersive study. Journey into Europe: Islam, Immigration and Identity. Akbar Ahmed. Brookings Institution Press. 2018. Professor Tahir Abbas FRSA is currently Visiting Senior Fellow at the LSE Department of Government, and Senior Research Fellow at the Royal United Services Institute in London. His forthcoming book is Beyond Islamophobia, Radicalisation and the Culture of Violence, published by Hurst in 2018. Read more by Tahir Abbas.